This article is the second part of our eight-part series about the importance of cross-cultural design, the first installment of which was published on February 16, 2017. Uber’s failure in China, which ultimately led to its sale to its competitor, Didi Chuxing, was one of the most covered American business venture failures in China. Uber has had a large impact in America to the point that it continues to grab an increasing share of the ride sharing/taxicab market and has even influenced the overall culture. In contrast, while Uber’s share of the Chinese market peaked near the end of 2015 at a claimed 30-35%, it thereafter shrank to a reported 8% when it sold to Didi Chuxing in August of 2016. Even with 8% market share, Uber could have created a very profitable and sustainable business. Its decision to sell was likely the result of its feeling that its market share would continue to decline. To illustrate the market opportunity that Uber will be missing out on in China, one must look to recent statistics. America has the 3rd most cars per 1000 people in the world at 797 cars per 1000 people in 2014. 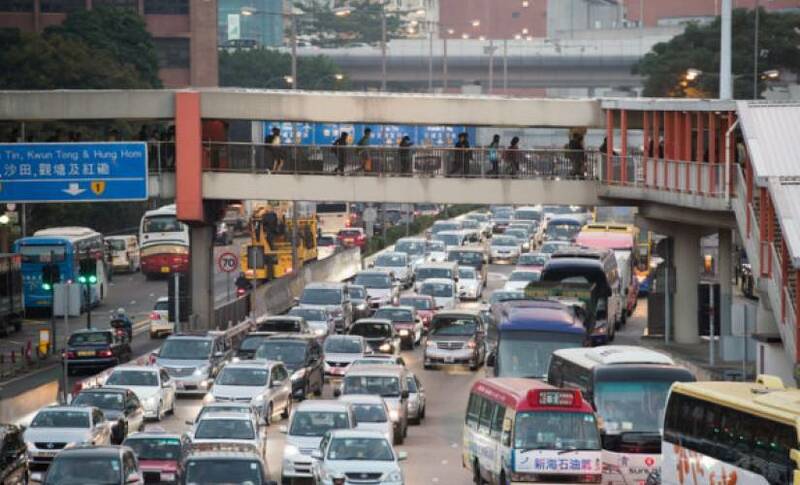 China is starkly different at 128 cars per 1000 people, which is 99th in the world. With so many fewer people in China than America having personal vehicles, there would seem to be a large market for both taxi and ridesharing companies. Many news outlets analyzed Uber’s failure and “merger” with Didi Chuxing, but none of these analyses has gotten to the heart of the matter. For example, when an American company loses out to a Chinese company on Chinese turf, the first reaction always seems to be that the Chinese government put its thumb on the scale resulting in the certain victory of the homegrown company. However, this may be at best a partial answer. While it is true that the (often invisible) hand of the Chinese government plays a role in helping homegrown businesses, a powerful force at play is very likely private sector challenges such as a failure to develop guanxi. The term guanxi (关系) represents the essential theme when looking into any matters of Chinese business. It is defined by the Oxford Dictionary as “the system of social networks and influential relationships which facilitate business and other dealings.” This is a critical concept in Chinese business. Didi Chuxing had innate guanxi with the incredibly popular social media/life app known as WeChat. The parent company of WeChat, Tencent, has a significant investment in Didi Chuxing. As a result of this guanxi, Didi Chuxing became very easily integrated into the life of the average Chinese person through promotion of its services within WeChat. Uber had no such relationship. Another thing that Didi Chuxing did to naturally become a partner in the average Chinese person’s life was not to force the adoption of a new habit, but instead to become the technological extension of an already existing one. Within Didi Chuxing’s mobile integration into WeChat, one could give a gift card to a user which would result in that user receiving a digital Hong Bao. A Hong Bao is a red envelope filled with cash that is traditionally given to all sorts of important people in a Chinese person’s life during Chinese New Year. While being slightly corny, something as simple as this makes the product seem more like an actual part of the culture as opposed to an invasion into the culture. Another example of Didi Chuxing’s understanding of Chinese culture is that a user was able to purchase a specific ride for another user. No major technological feat. No flashy design to exploit a person’s subconscious. Simply the ability to pay for another person’s ride. It is much more common in China for someone other than the rider to pay for a ride, so of course an application must be accommodating of this fact. This is what is meant by having a feature be the technological extension of an already existing habit instead of trying to impose a new one. Uber never developed this functionality for China. Its closest attempt to this date is the very American (and, without a Hong Bao, culturally tone deaf) Uber gift card. For Uber to take a real shot at the Chinese market, it needed a relationship similar to that of Didi Chuxing and WeChat in order to promote itself. Since WeChat, as a result of its relationship with Didi Chuxing, was effectively competitive with Uber, it probably would not have accepted Uber onto its platform. However, Uber could have partnered with a WeChat competitor such as WhatsApp instead of trying to handle promotion all on its own. As a result of its failure to do this or something similar, Uber did not develop guanxi which, combined with its failure to understand certain aspects of Chinese culture, led to its departure from China.